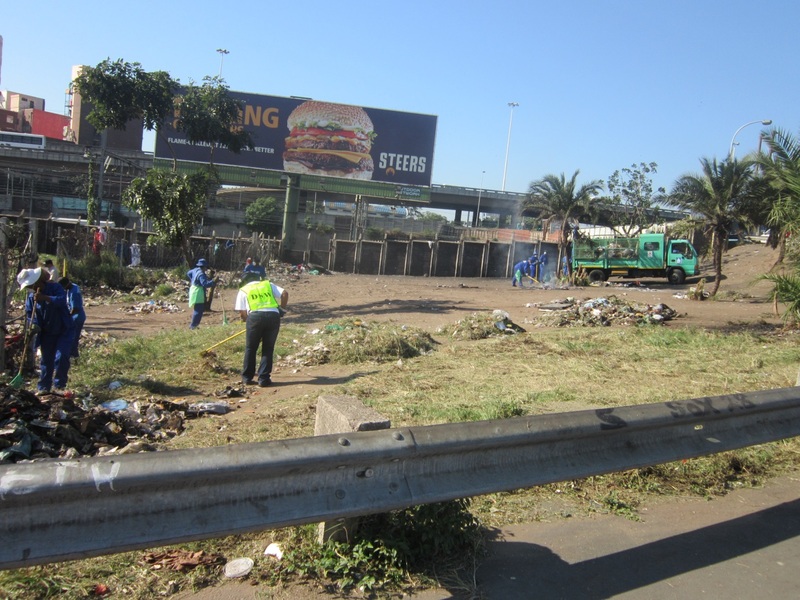 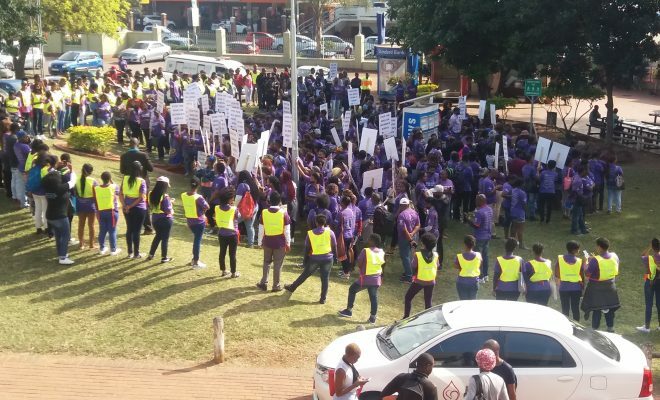 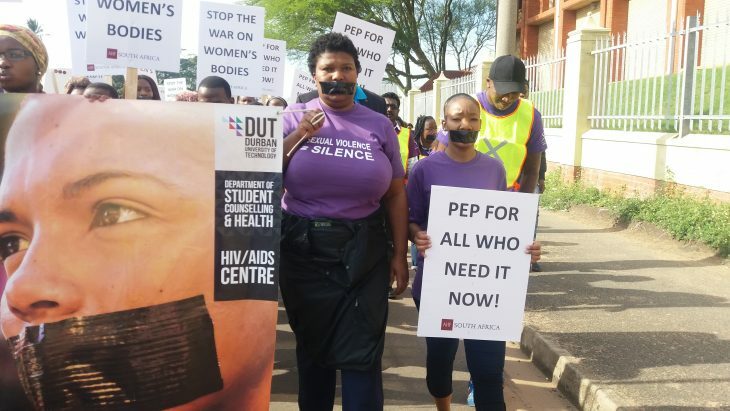 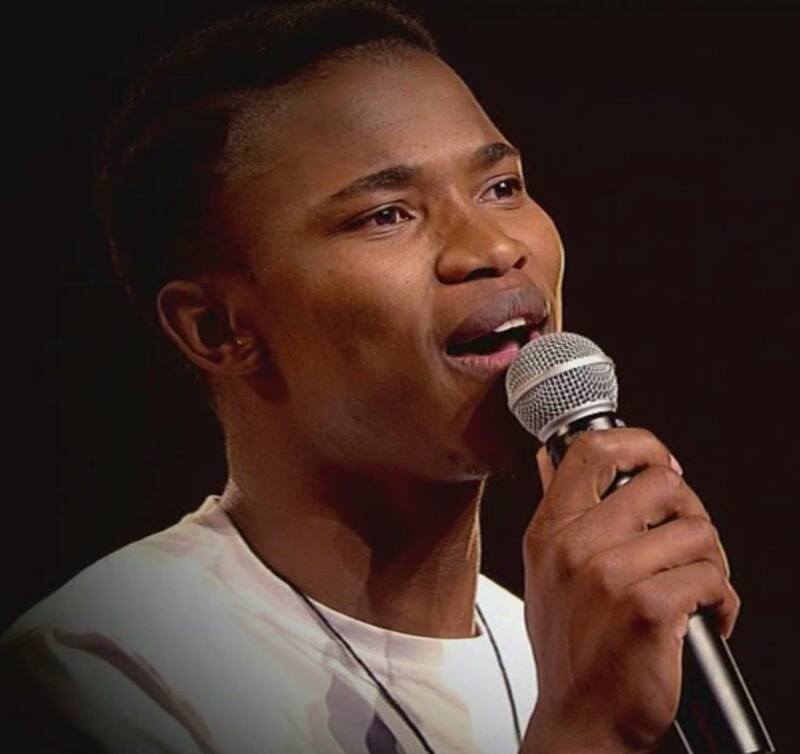 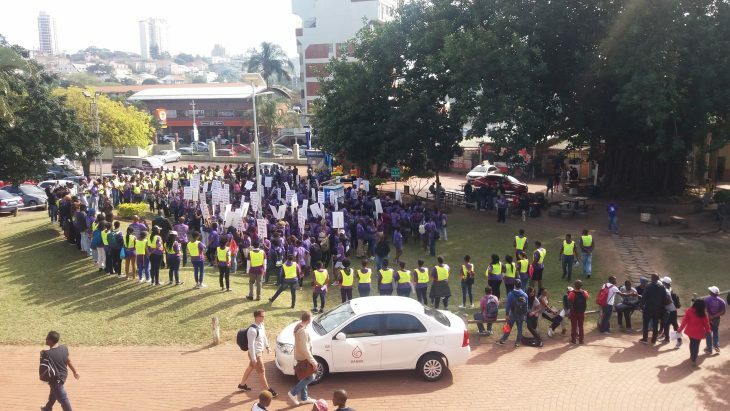 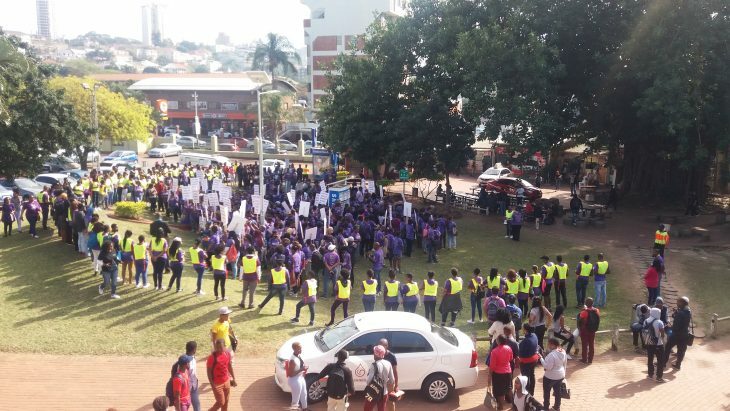 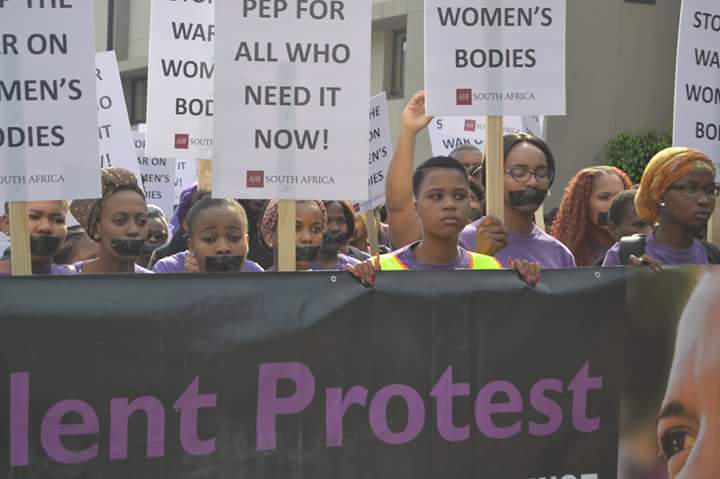 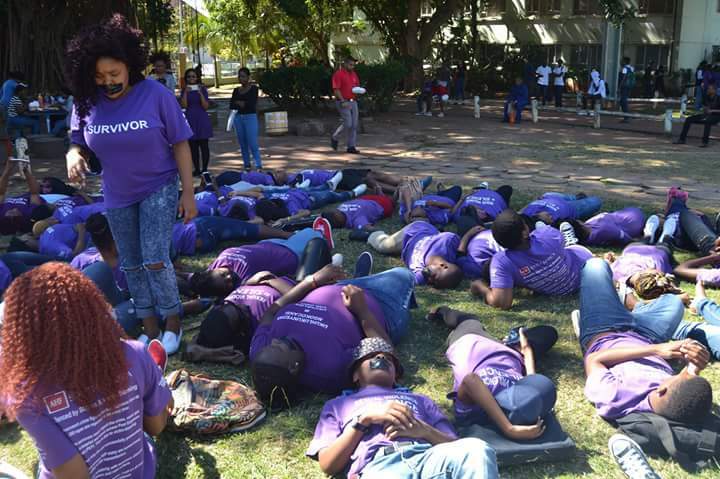 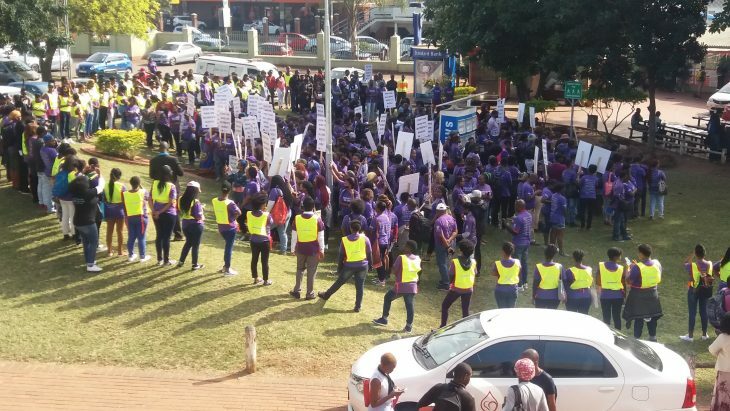 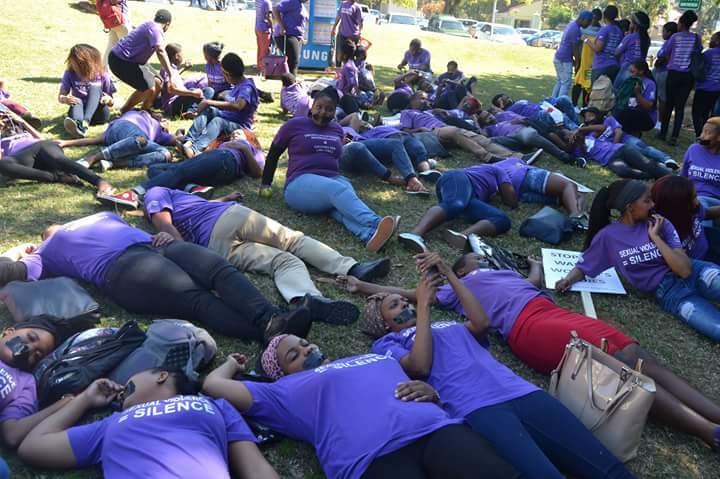 The Durban University of Technology (DUT)’s HIV/AIDS Centre, in partnership with the Aids Healthcare Foundation, hosted its 2nd Annual DUT Silent Protest march today. 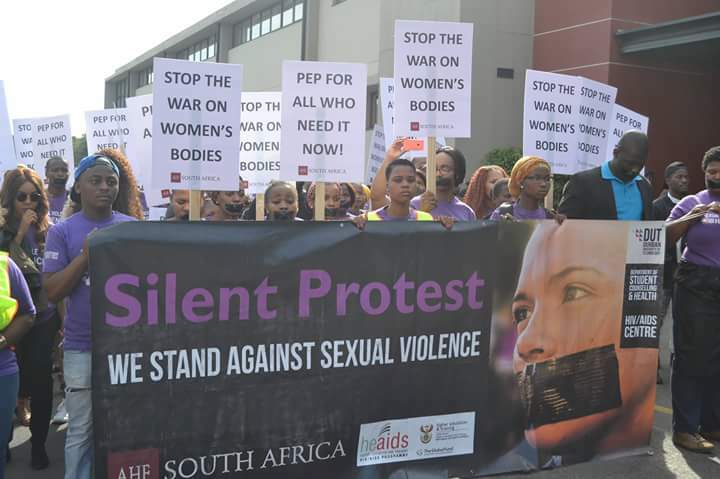 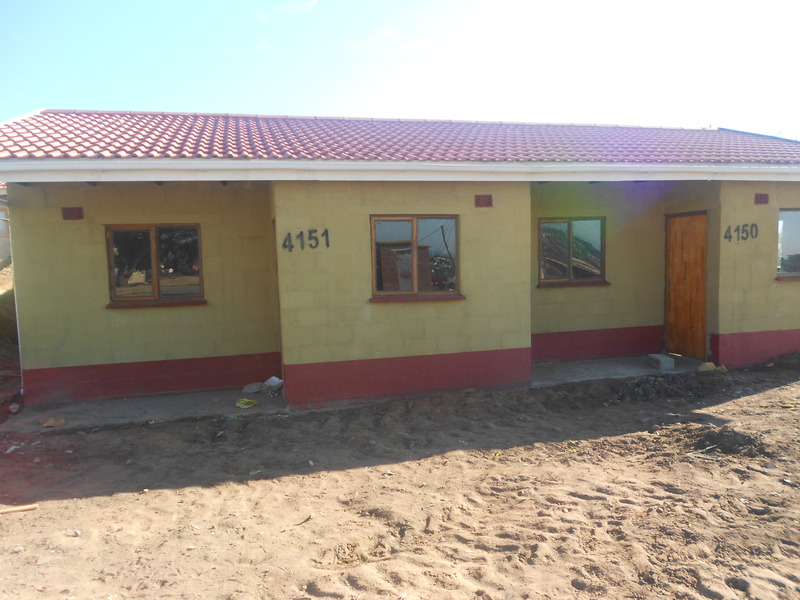 The aim of the event was to raise awareness against silence that surrounds and often times perpetuates sexual violence in communities. 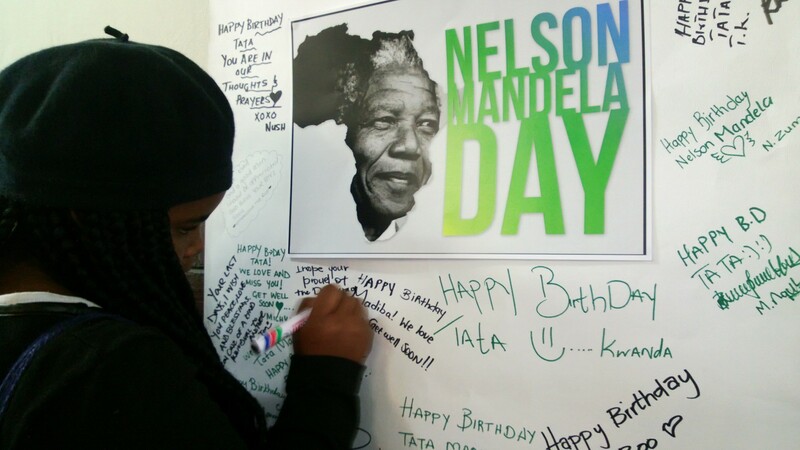 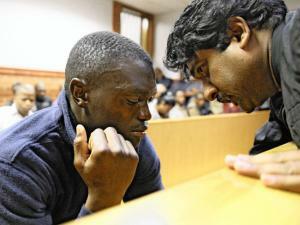 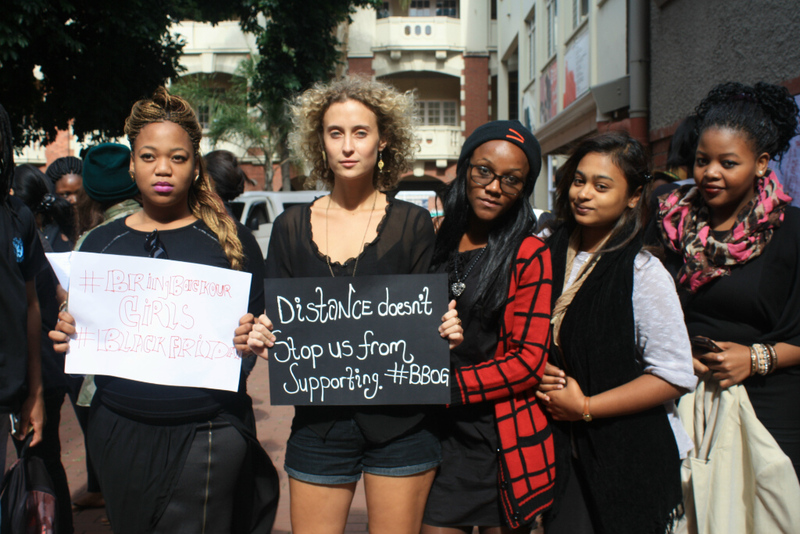 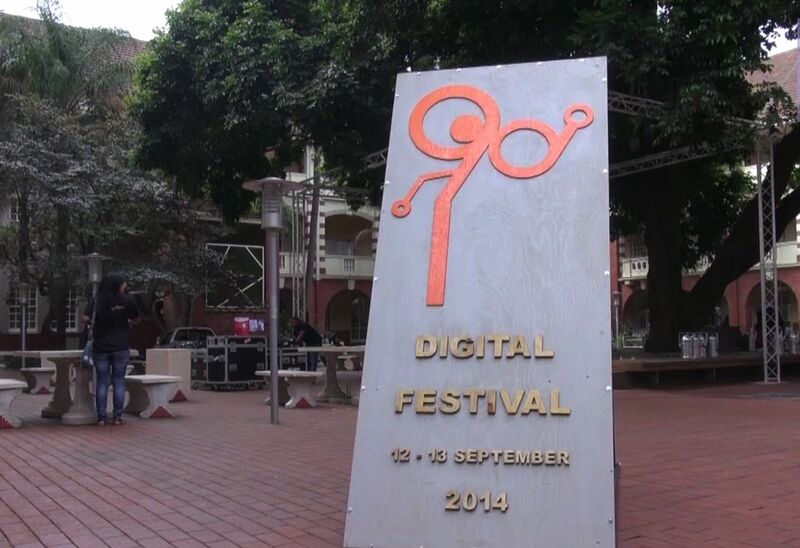 Organisers also hoped to show solidarity with survivors of gender-based violence who are silenced by their experiences. 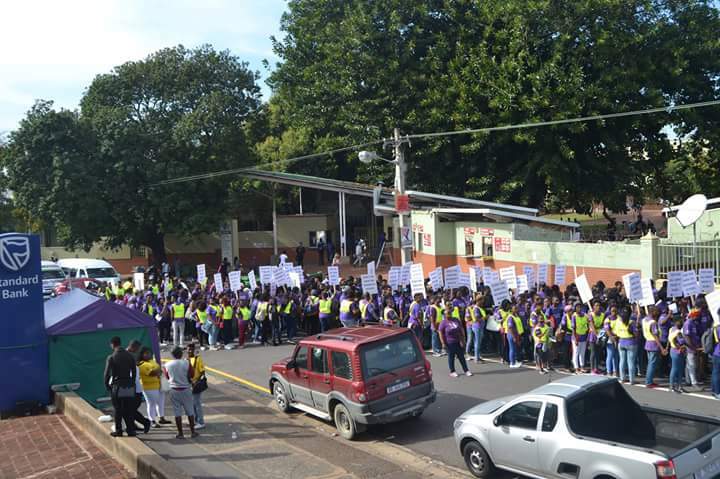 Last year’s march received support of over 1000 students and this year’s march did not fail either. 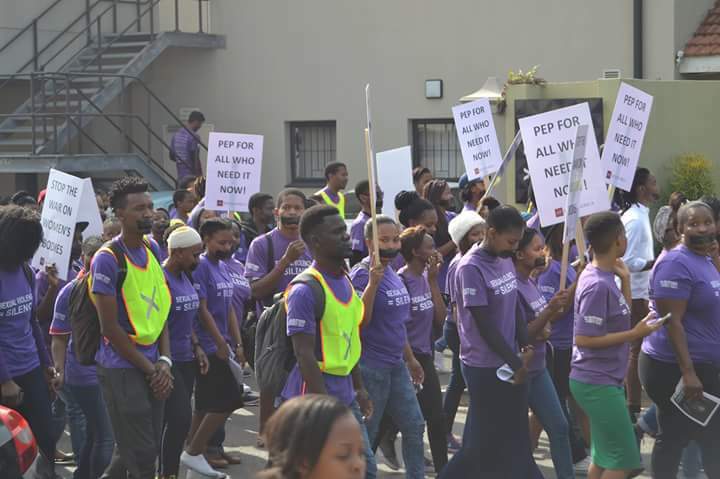 Both female students and staff members wore purple sexual violence awareness t-shirts with various messages ranging from survivors to activists of stopping the violence.